For my instructional designers and e-learning developers, they loved creating courses. However, I found for the masses, including myself, it was a tedious but necessary part of the job. Sure the courses were interactive and engaging, but I found it as fun as starring at Magic Art (actually that was fun, for about 20 minutes before a headache set in). I never found course creating on par with playing an X-Box game. Nor, did I find it on par with petting my dogs – which heck is fun. 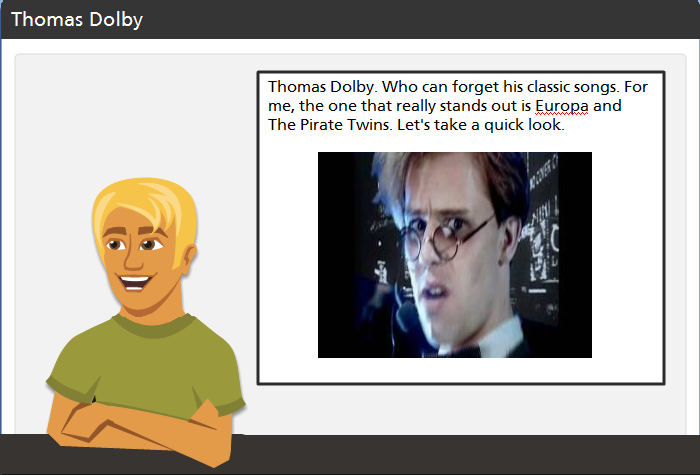 After diving into Articulate Storyline and using all its features, I found myself having fun. Real fun. 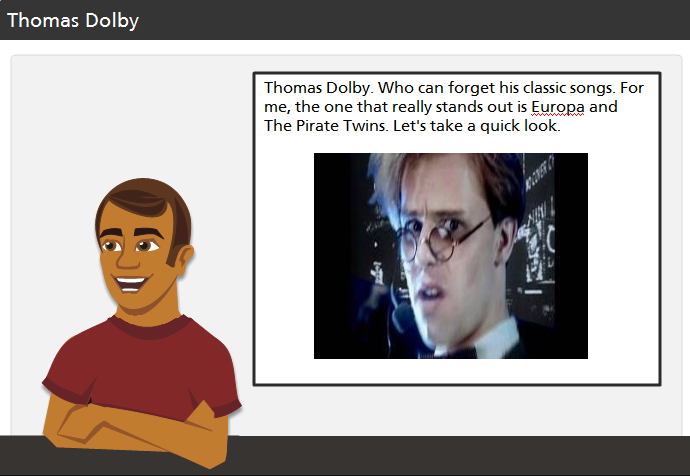 The first time I have had fun creating courses via a course authoring tool in 15 years. Granted it wasn’t as much fun as attending a Linkin Park concert, but nevertheless I had a smile on my face. Likert scale as an option in surveys – finally! One photo character – I mean seriously? “Upload your content to a web server, you just give your learners a link to the story.htm file” – This is to view the course in HTML5 on your iPad. To do so, you (whomever that may be) allow your learners to download the course. Then you have to click another link within the article to learn how do it. Learn more – again to view it – takes you online – question: if you do not have internet access how are you supposed to see it? 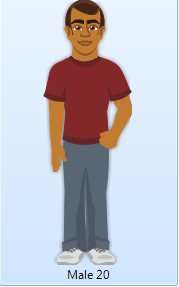 To download free templates and characters you have to first register for a free account on the e-learning community. I just spent some serious cash for your product, why force me to waste time to register? 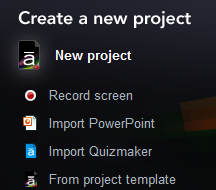 You can also open a recent project, by clicking on the title of the folder. In my test, I used “neverendingstory”. Once I clicked my title, the layout screen opens right up with the course, enabling you to jump right in and start editing. A super feature – simple! You can also browse for other projects too. If you are still working on a course or preparing it for publish, the main screen will show you the progression in a vertical linear fashion. This is the “Story Screen”. 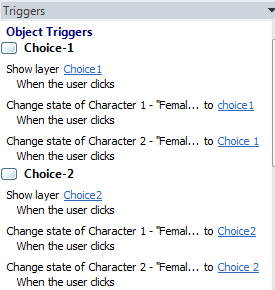 On the right side of the screen you will see your triggers and properties. If you are entering Storyline for the 1st time, i.e. with a new project the layout screen looks quite different. It is completely blank ready for you to begin work. The top header of the layout screen stays the same regardless of the mode. 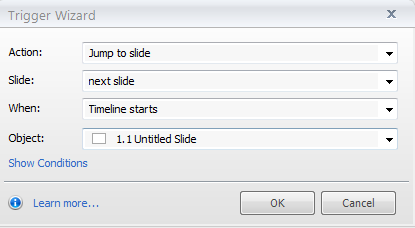 Storyline as noted earlier is a robust product and this robustness is seen the moment you decide to add a new slide. When you add a new slide or are editing any of your slides, this is going to be your quintessential screen. This is especially true of your Insert toolbar. This is where your screens will appear. You can move the screens around at any time. Where you work on your screens. Add characters, text, etc. or edit. Timeline – Again, if you have never used a timeline you will find this challenging. The timeline shows you the layers of the slides. I surmise the “eyes” will create confusion with many e-learning folks who have seen this functionality. The current “eye” view means that the layer is visible. If you do not want to have the layer visible, click on the “eye” and it will change it a closed eyelid. The open box next to the eye means that you can lock or unlock the layer. The default is “unlock”. To “lock” simply click on the box and it will change to a lock. 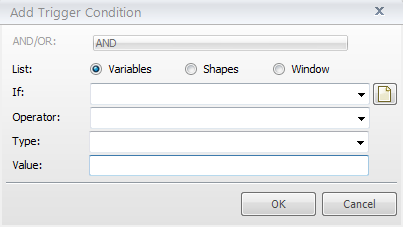 States – To view the state of the object, click the object. Within “States” you can “Edit the States”. On the right side of the “States”, “Normal” is the default. This means that the object on the screen is the state that currently exists. Notes – I found this feature to be underwhelming. Worse, if you want to learn what are notes, once you click “Learn More” it takes to an online page called “Add Recordings” and then you have to scroll down a tad to see what are notes and an example. This is the meat and potatoes of the product. You will either love this or hate it. Plus it can be overwhelming unless you are used to this functionality. 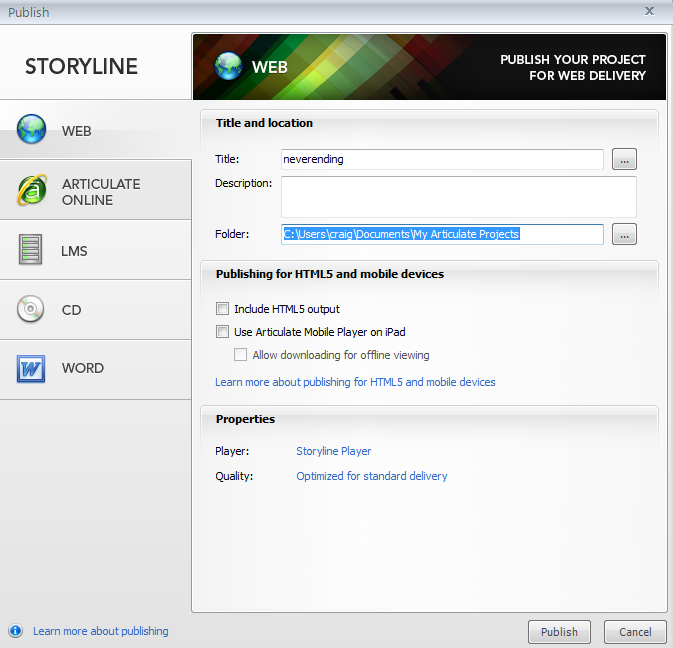 As noted, this is one of the most robust and key functions of Storyline. An example of a completed “Trigger”. 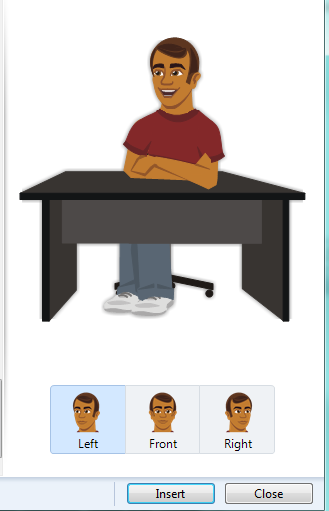 Many products offer templates, including those with avatars. The downside though is that whatever position the character is within the template, they stay that way – i.e. you cannot change it with another character – and specifically in that position. 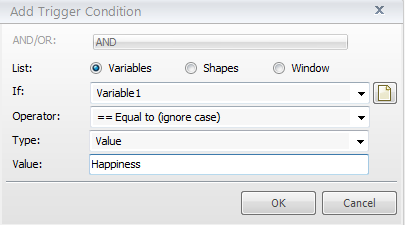 To change a character, right click the character object and you will see “Change Character”. Click it. With this product, I could easily write a four thousand character review, but time is short, so I’m going to hit a few points. The audio recorder and editor is very simple to use, and I especially liked the countdown before it started to record your audio. Many audio products upon clicking the “record” function immediately starts to record. However there is one downside to the recorder. After recording your voice or whatever it appears as one wavelength, which is standard for any recording – and not the problem I have with the product. It is when you add more sound recordings within that record. Thus if you decide to import a music file for that record as a second audio layer, it appears on the same wavelength as the initial voice recording, rather than a second record line for that one recording. I hate that. 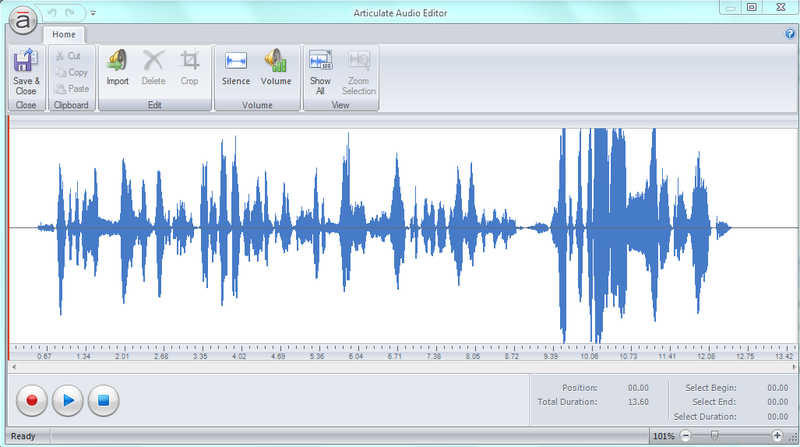 If you prefer to have multiple layers of recordings for one record, I strongly recommend using Audacity (which is free), then save and export the recording to Storyline. The main one is the ability to turn background noise or perhaps something you do not want on the final recording, to silence. I wish though that Storyline offered plug-ins to add to the editing sound screen. Even if they offered the option for you to add plugins via the net (freebie ones and/or paid) that would work. Right now it is a very simplistic editor which is a disservice to such a robust product. As a result, I recorded in Audacity and then used various plugins to enhance it, including the changing of tempo and pitch. I highly recommend previewing your project before publishing it. While you can click through slide by slide of your project within the preview, it would be nice to just click a button and see the whole project in action. A nice time saver, especially if you want to see the whole flow. For example, when I previewed my course, I realized that the audio recording of my first slide was not working. I went back to that screen, clicked “recording” in my timeline and verified that the audio in fact was working (with this audio, I had used the audio recording in the product). When I went back to “preview” it still did not work. I’m not sure if that was a bug with my trial, but for another recording I did within the product, it worked just fine. When I re-recorded it, the wavelength appeared in my timeline, thus verifying the sound now existed within my course. If you are ready to publish your course, click “Publish”. A new screen popups with the following choices (the default is web). Here you can add a description and choose additional options. For me, I selected “HTML5”, “Use Articulate Mobile for viewing on the iPad”, allow downloading for offline viewing. 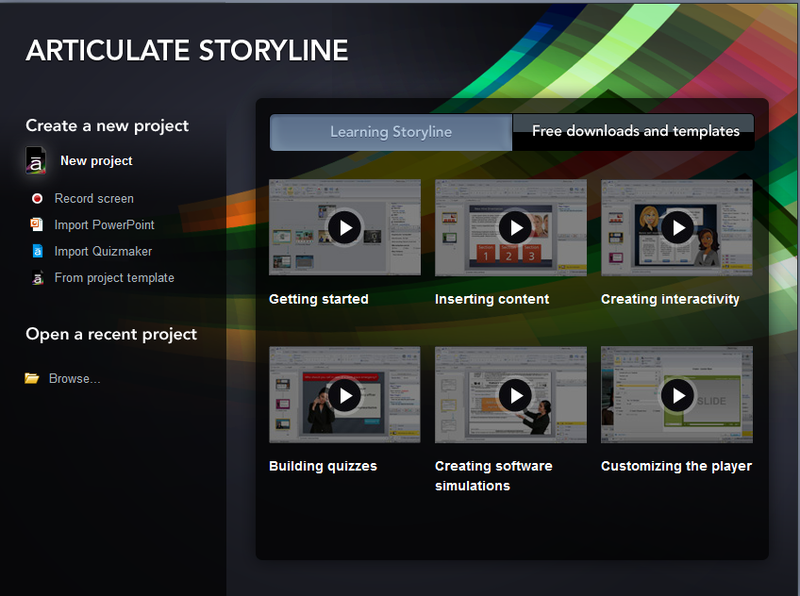 I tested Articulate Storyline in the eLogic Learning LMS and found that it worked extremely well. Uploading it to a web server is not ideal, especially if you are unfamiliar with doing so, or your IT folks are not standing by ready to help you. An ideal would be the ability to edit your course within the mobile player. Hopefully that will be a future option. If you are used to Articulate Studio and assume this will be as simple to use, you will be in for quite a shock. I’m not sure why Articulate claims that a beginner can jump right in and use it, because I didn’t see it. Even the folks at Articulate told me that it had a learning curve and it was recommended that you go and learn the product before jumping right into it. For those who are used to layers, triggers, conditions and other robust capabilities the product is going to be your new best friend. For others it may be your new frustration. For me though it was not frustration but exhilaration. Craig, thanks for the review. A co-worker demo’d this earlier in the week and gave pretty much the same synopsis, pro’s con’s etc. I think with any of the authoring tools some people will assume it is a quick fix to create great eLearning. It does look interesting though. Definitely liking the triggers. When you published for HTML5, did you have many animations or transitions between pages/slides? If so, how did it handle the animations, did it still feel pretty seamless? I did have animations and video clips within the course. The transitions were pretty seamless. Once published, I found the output on desktop and Android tablet to have pretty good fidelity. These worked well out of my ScormCloud LMS account. I was interested in your experience with the LMS with iPad, however. You seemed to indicate it worked well for you. I published similarly to the way you described, but accessing the material via the LMS on iPad doesn’t work. Would you please describe the steps of accessing the published course on the LMS and what happened? E.g. You access the LMS with Safari, launch the course, the mobile player kicks in? I really don’t get how this iPad thing is supposed to work. Sad, as the Android and desktop parts worked like a dream. I tested it within a LMS, and it worked fine, but I did not download/test it from the LMS into the app. That said, as noted in the article I found the iPad app to be a major disappointment on multiple fronts. Very good blog Craig! I must be thankful to you for providing those screenshots and explaning every bit of it in very short and precise manner. I have been using Storyline since last one month and I just loved the fact that same content can be published into Flash and HTML5. Also there are no different packges for every delivery platforms, when you run the content it checks the browser type and accordingly loads the HTML5 or Flash content. On the poorer note I would say absence of system variables (properties of your courseware like max pages, current page etc) restricts the ability of a developer from using the tool and as most client requirements evolve around such fatcs! But I am very optimistic regarding this tool and I personally feel that in coming two years this tool would be a need of time! I will post more technical aspects of the tool in near future!